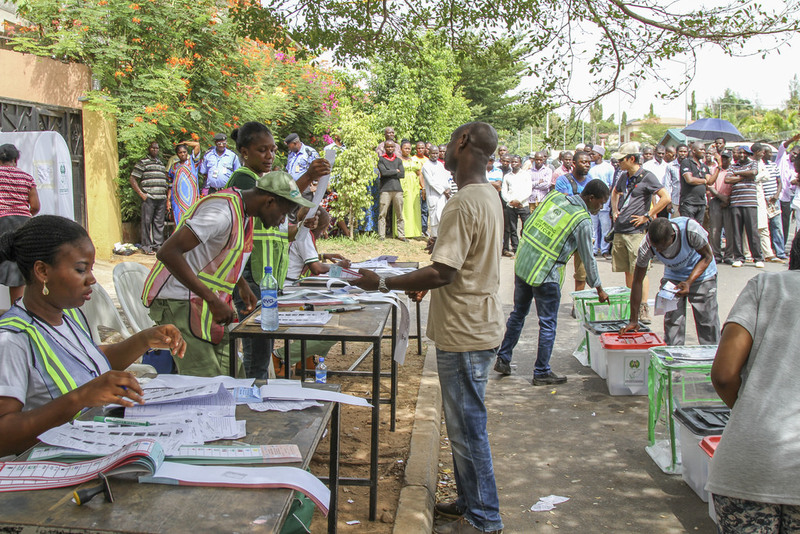 In the wee hours of Saturday, February 16, just about five hours before the opening of polls across Nigeria, the chairman of the nation’s Independent National Electoral Commission (INEC), Mahmood Yakubu, told a horridly organized press conference that the vote had been delayed by a week because of logistical problems. Nigerians woke up to the news in disbelief, wondering whether it was fake news. Once confirmed, the mood quickly morphed into anger and frustration Initial disbelief was followed by anger, frustration and resignation. The commission claimed the delay became inevitable following major challenges with logistics and operational plans. It said both elections would be shifted by a week each. The presidential and National Assembly elections will now hold on February 23 while state elections will hold on March 9. The decision has been trailed by condemnation from most Nigerians. The political parties have also condemned the postponement. Senegal said the terms of the country’s new oil law, which provides for increased state stake and royalties, will apply only to fresh investors, according to Energy Minister Mansour Kane. Under the new code that replaces a 20-year-old law, state-owned oil company Petrosen is required to hold a minimum 30 percent holding in new fields, up from the previous 20 percent. The law also provides for a fixed rate of royalty based on the gross volume produced. Senegal joined the league of West African oil nations in 2014 when the U.K.’s Cairn Energy made a huge offshore crude discovery, followed by Kosmos Energy, based in Texas. Australia’s Woodside Petroleum is now working with Cairn to develop its field while BP has teamed up with Kosmos to develop its gas discoveries. Joining the race for energy assets in the country, Total of France last year acquired exploration rights. The country plans additional legislation to guide the processing and transportation of natural gas for use in electricity generation, with a plan to connect all households by 2025. The land-locked nation of Ethiopia has signed a deal with Djibouti to build a pipeline that will transport Ethiopian gas through its territory to an export terminal in the Red Sea state. Ethiopia has extensive gas deposits in its eastern Ogaden Basin found in the 1970s. The gas fields in Calub and Hilala are being developed by China’s POLY-GCL Petroleum Investments since signing a production sharing deal with Ethiopia in 2013. This new deal between Ethiopia and Djibouti comes more than a year after POLY-GCL signed a memorandum of understanding with Djibouti to invest $4 billion to build the natural gas pipeline, a liquefaction plant and an export terminal to be located in Damerjog, near the country’s border with Somalia. POLY-GCL is a joint venture between state-owned China POLY Group Corporation and privately-owned Hong Kong-based Golden Concord Group. Uganda deported the chief executive officer of the country’s unit of MTN Group, Africa’s biggest wireless carrier, with police citing national security concerns. He was the fourth official of the company to be expelled from the east African country this year. Wim Vanhelleputte was forced out of Uganda after midnight on February 15, according to police spokesman Fred Enanga told reporters, adding that a detailed report of the ongoing investigation will be issued later. MTN said in a statement it wasn’t provided a reason for the action and is consulting with the Ugandan authorities on the matter. The action came against the background of pressure Uganda had been mounting pressure on the South African company to list its shares locally to enable Ugandans partake in its ownership. MTN, which has a subscriber base of more than 220 million in Africa and the Middle East, has 10.8 million subscribers in Uganda.